Discussion in 'Show off' started by JohnEsc, May 1, 2016. Strings and tuner pegs arriving today, carbon fiber rods arriving tomorrow. Going to meet with one of our school's music teachers to get this violin tuned and then put it in the hands of one of our lucky students! 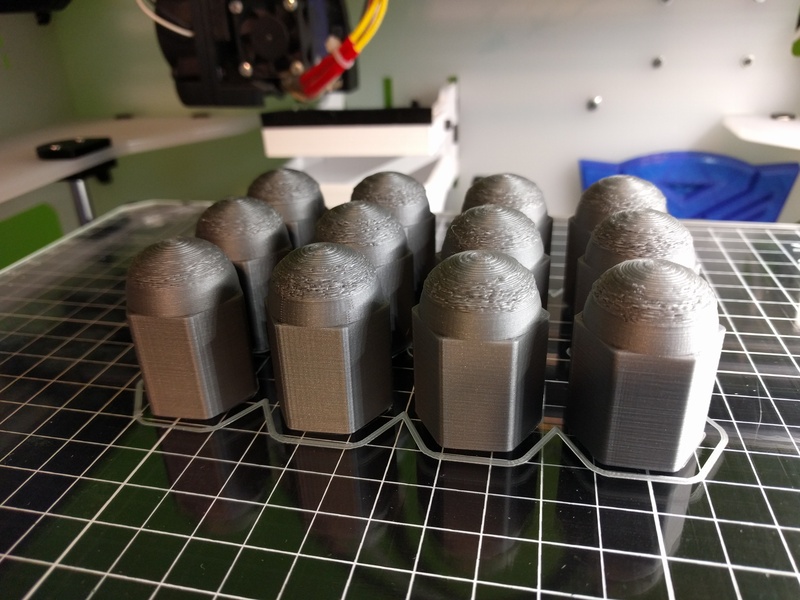 Hoping to use this as another way to guide the use of 3D printing in the STEM curriculum for our music program. Thanks for the help from this forum to help improve the quality of the print, it definitely improved with each printed part. Mike Kelly, Greg Holloway, mike01hu and 1 other person like this. Strings and tuner pegs arriving today, carbon fiber rods arriving tomorrow. 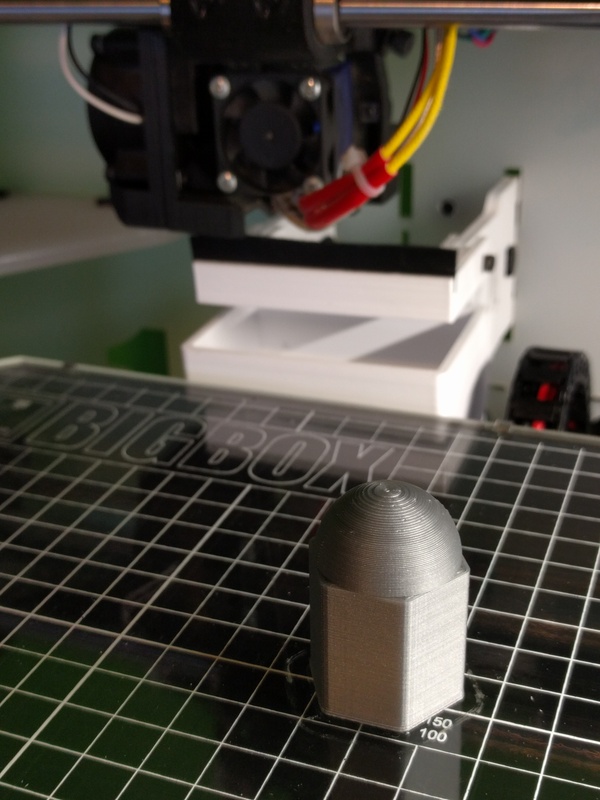 Great project John, but why is the print so rough/blurby? @JesperJuul I'm wondering if it was something with the filament, it did improve with each part, but haven't had issues like this before with any other PLA. 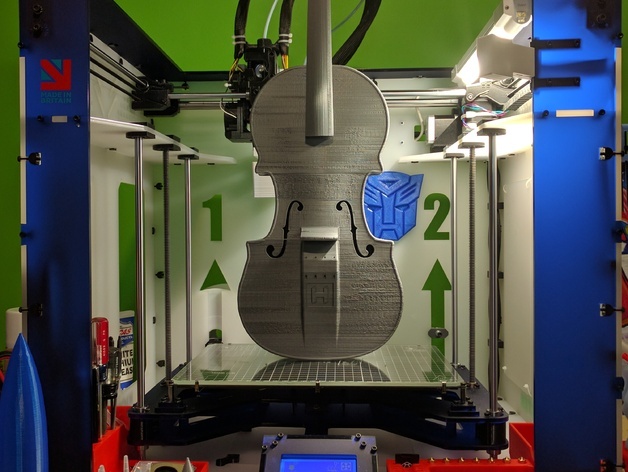 If you notice by the time I printed the top and the neck of the violin had gotten much better as compared to the bottom. Raised the temp 5 degrees each time and the neck recommended layer height was 0.1 and I played around with the extrusion width as well. Maybe it its just printed to cold. Some colors (often white) needs to be printed warmer? The filament I use actually recommends starting @ 185 with white and increasing by 5 degrees if it's not extruding well. It mentions that colors tend to need a hotter temp. I have to play around with the silver cause it's the only color that has given me a problem but the silver looks great when it prints neatly! Have to open up one of the holes for the G string, ran out of time last night! Very nice. I have this on my list as well for my daughter. @Steven Burns I just ordered a violin bow and I'm going to have a couple of teachers who know how to play the violin give me their thoughts on the quality of it this upcoming week before I attempt printing another one. I am hoping to award this to one of our talented students so they can use it to practice. I would love to hear how the analysis comes out. I play guitar so I have electronic tuners laying around the house as well as phone app tuners. Depending on how this one fairs for you I will probably print a few and then print out an electric one that I found on Thingiverse as well. All of this is a precursor to printing a full size guitar for myself. My current guitar is not played anymore as there are only 40 of them in the world. I would like to have one that I can actually play without fear of harming it. The guitar prints are cool in that you buy a full guitar kit, print out whatever body style you want and use the rest of the kit to completed the guitar. You essentially just throw away the wood kit body. Any new info about how it turned out? I purchased the bow, violin strings, and pegs and tuned it using a phone app. Sounds pretty good to me. I haven't gotten it into someone's hands who is an avid violinist, unfortunately. Amazing that it can handle the string tension. Usually the combine tension of four stings tuned to the correct tone height is quite powerful. 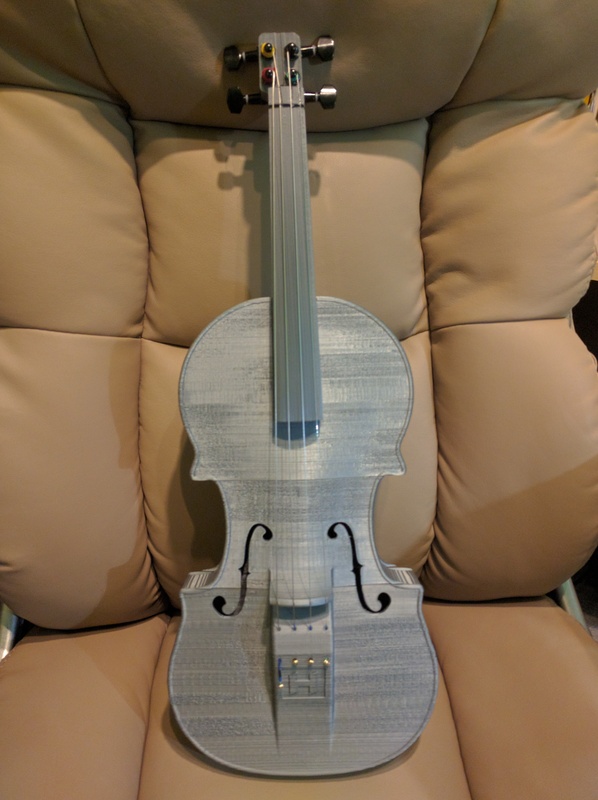 @GrodanB There is a carbon fiber rod (part of the recommended build materials) running through the violin's body and neck, it is not glued. Mike Kelly and eca like this.